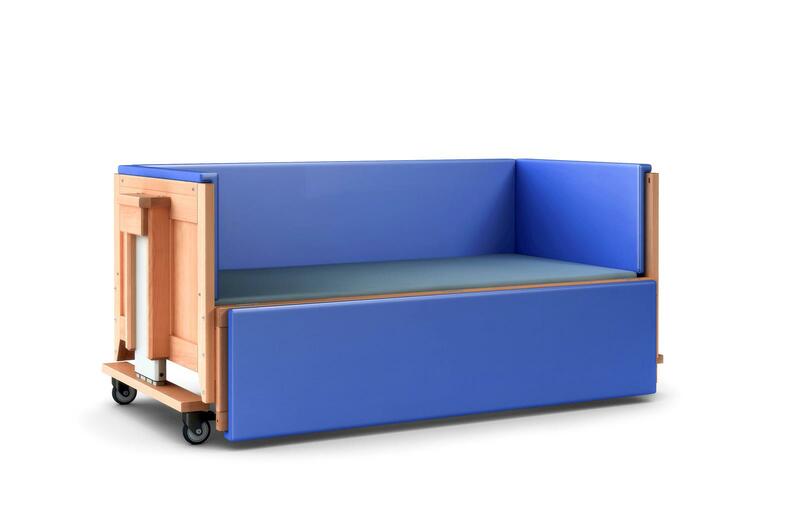 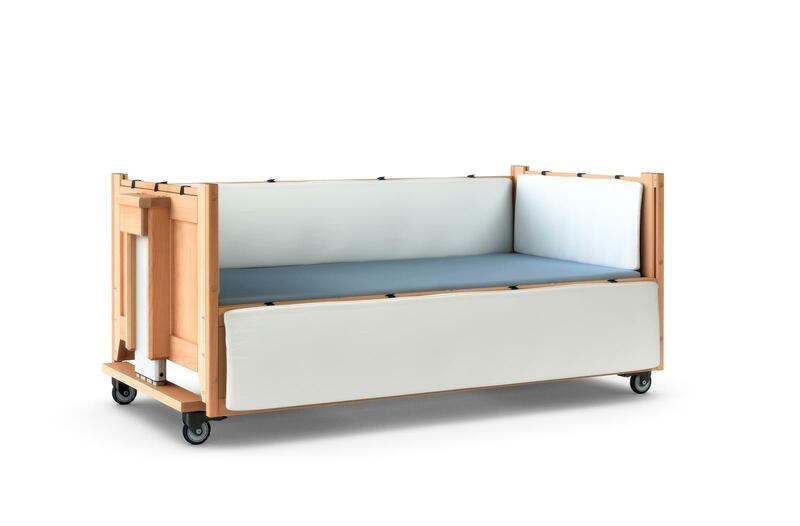 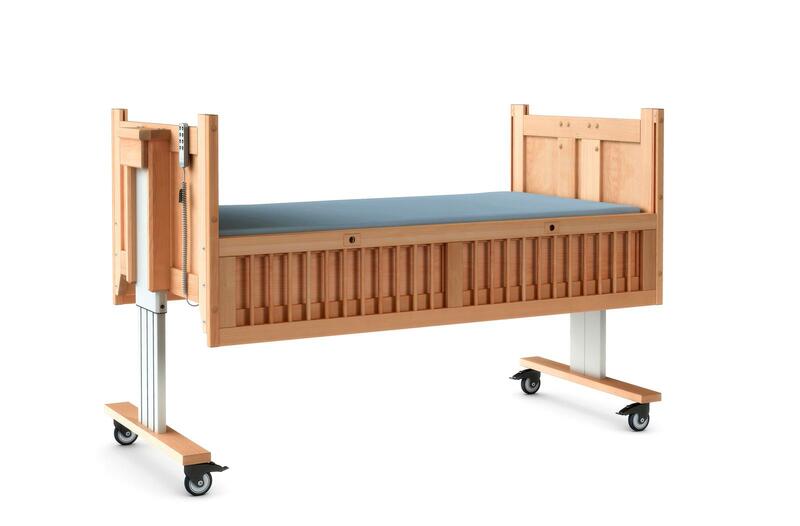 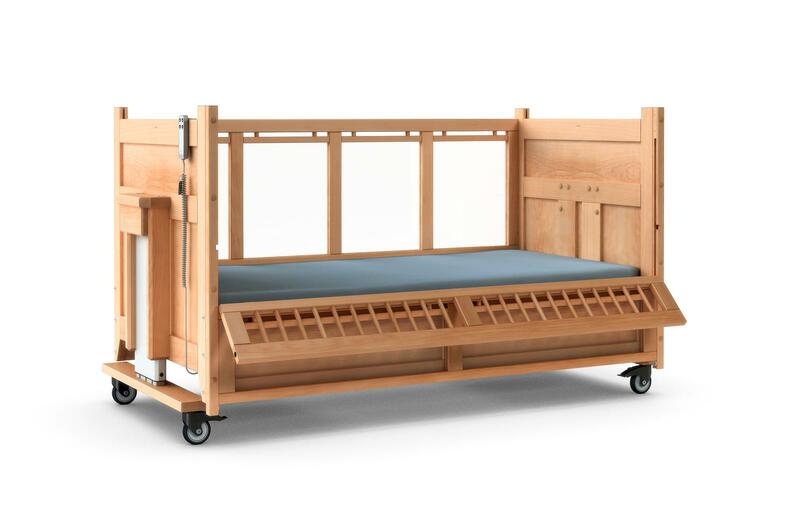 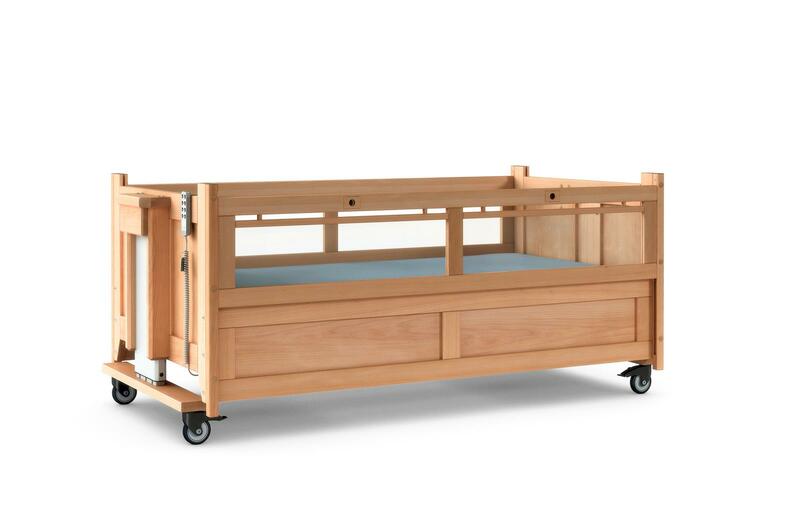 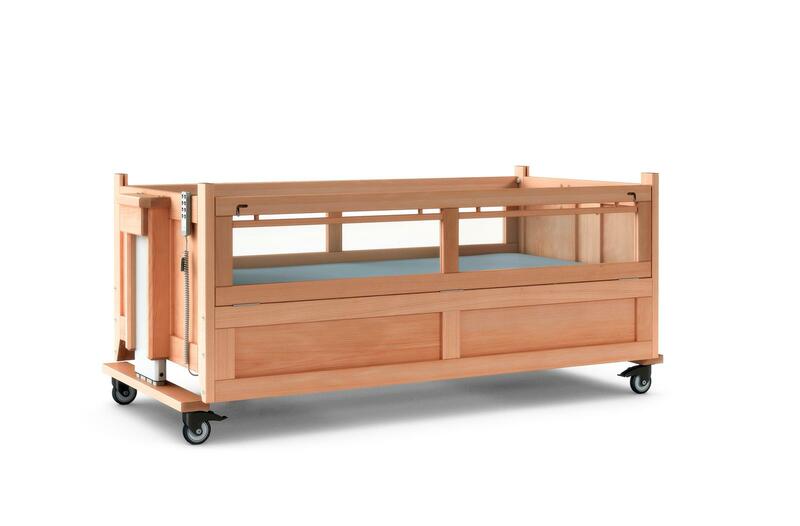 The JEREMIA bed series provides the perfect bed for each care situation with amazing solutions. 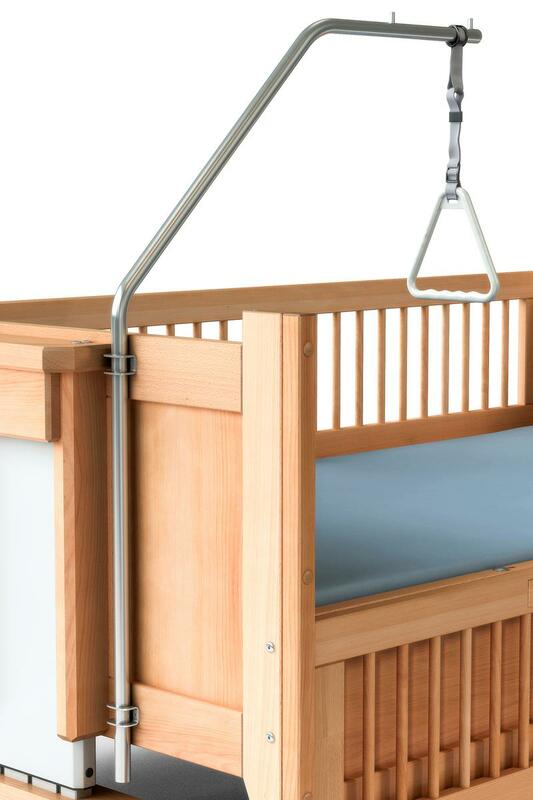 Even special requirements are met. 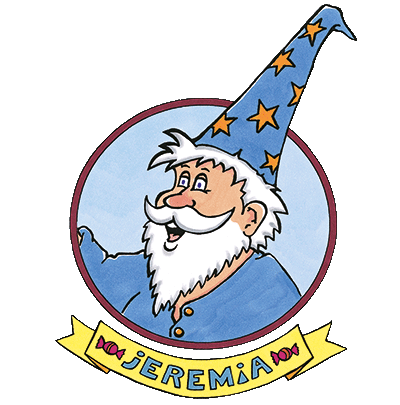 JEREMIA 1 provides three different access options. 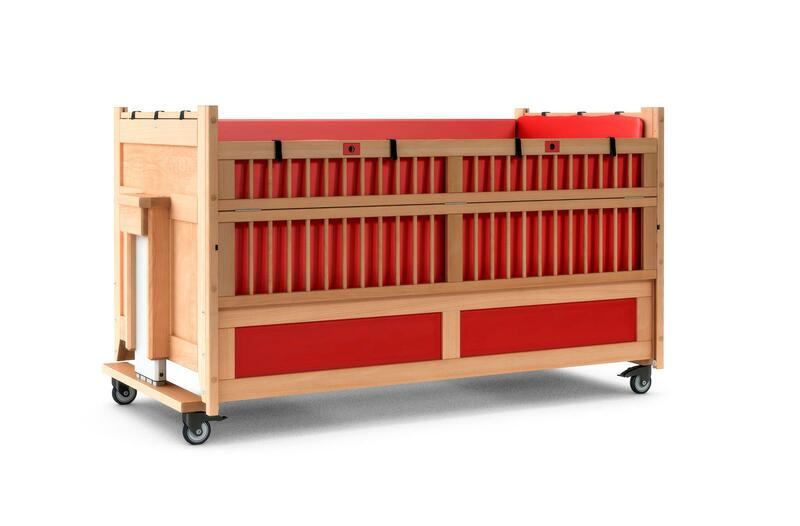 JEREMIA 68 offers enhanced security through high doors. JEREMIA VARIO combines high, safe sides with convenient entrance height. 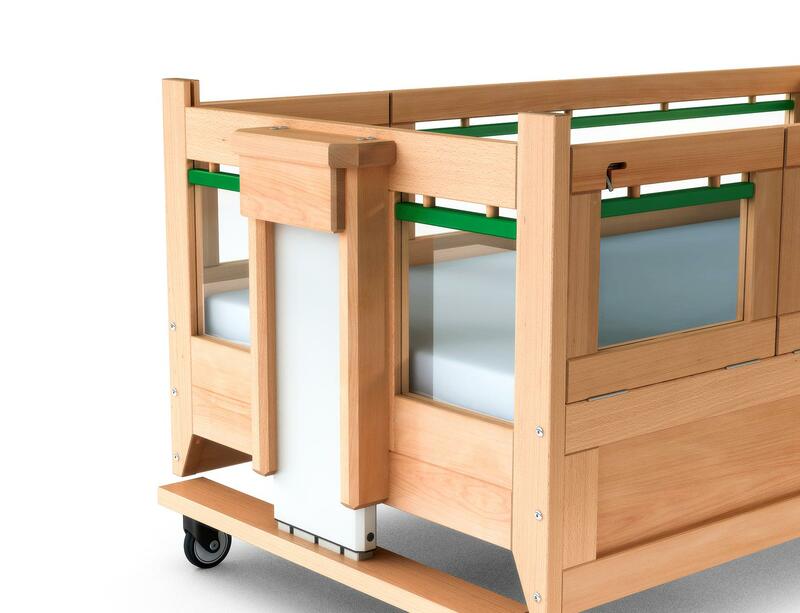 JEREMIA is a pro among healthcare beds. 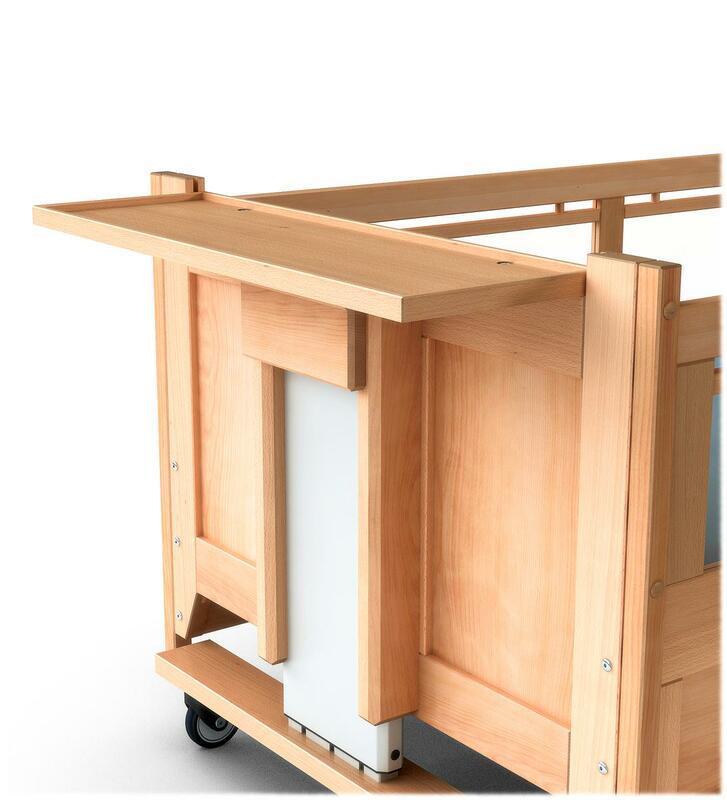 With the choice of flaps, doors or lowerable side parts JEREMIA 1 provides optimal access in any situation. 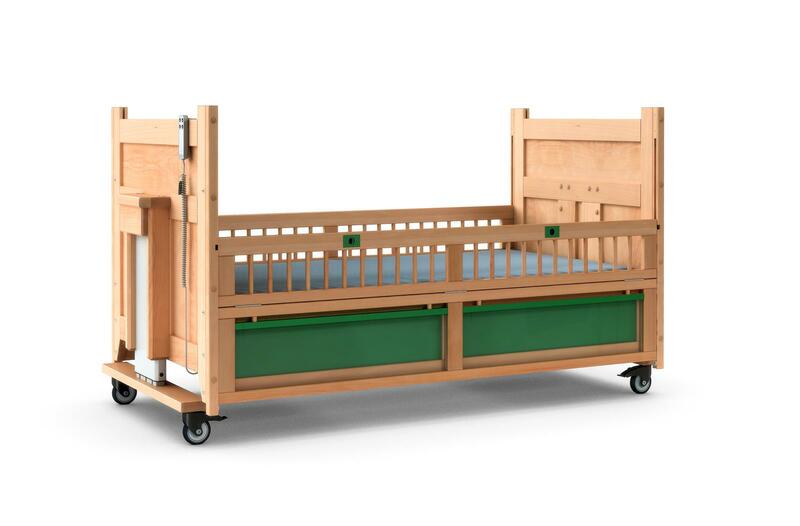 when fast access to the small patient is particularly important, then JEREMIA 1 flaps is the right bed. 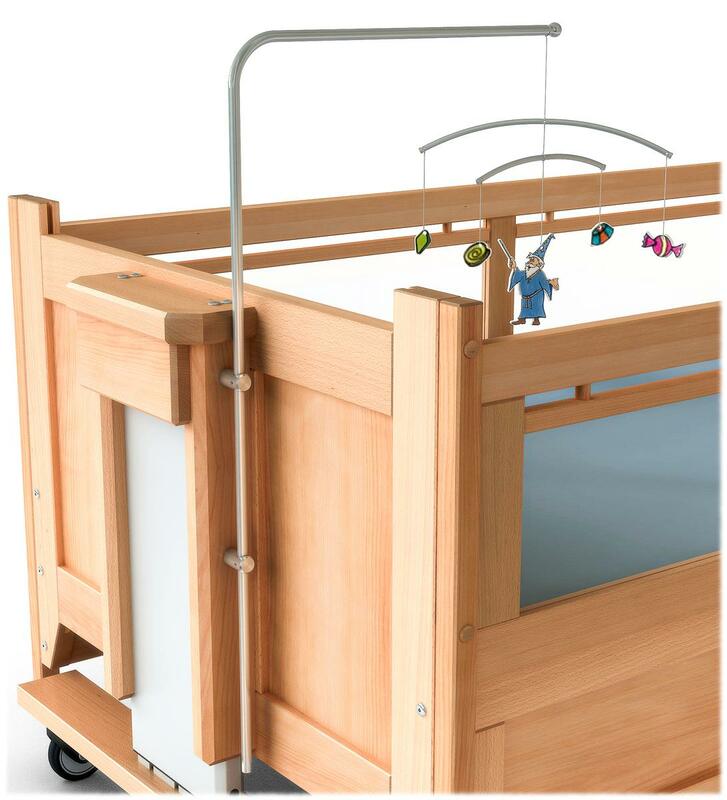 The flaps can be easily and quickly opened and fold down with one hand. 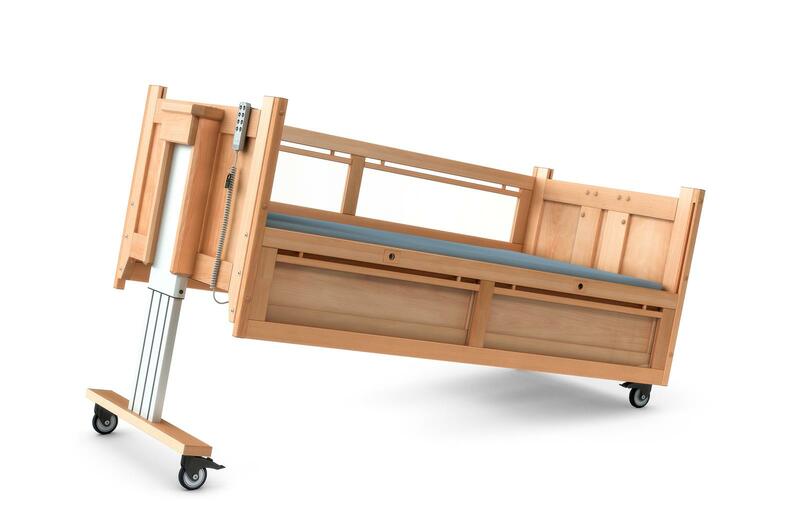 Thus, you gain precious time. 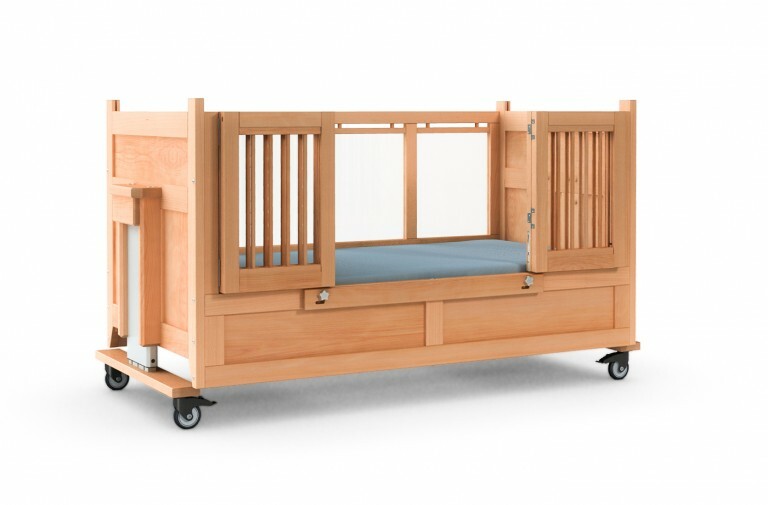 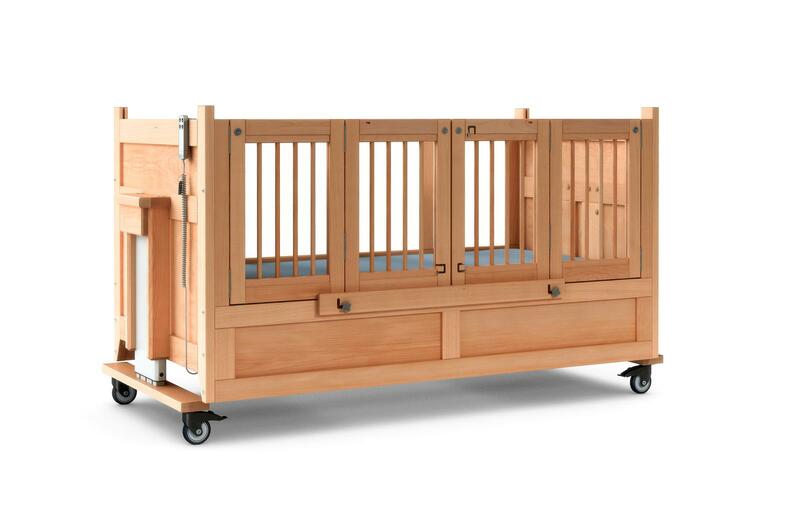 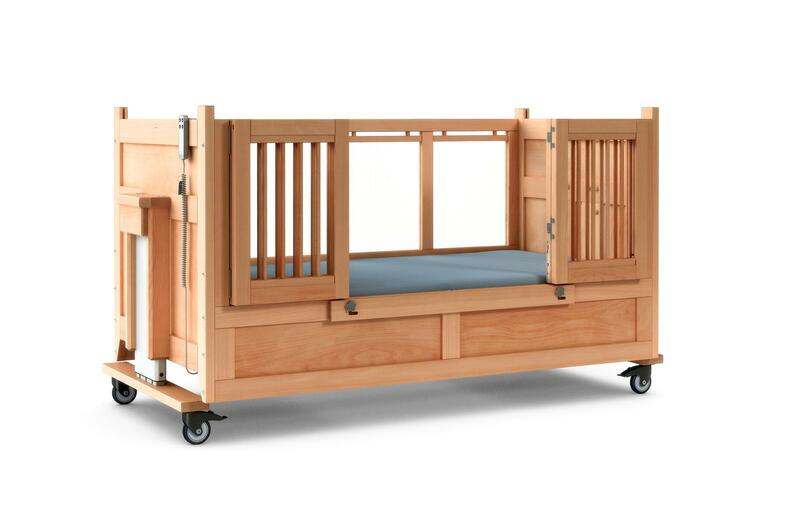 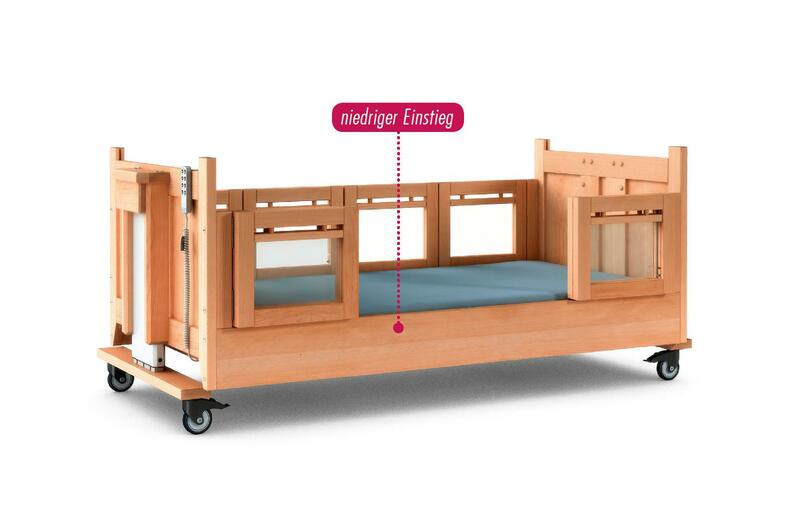 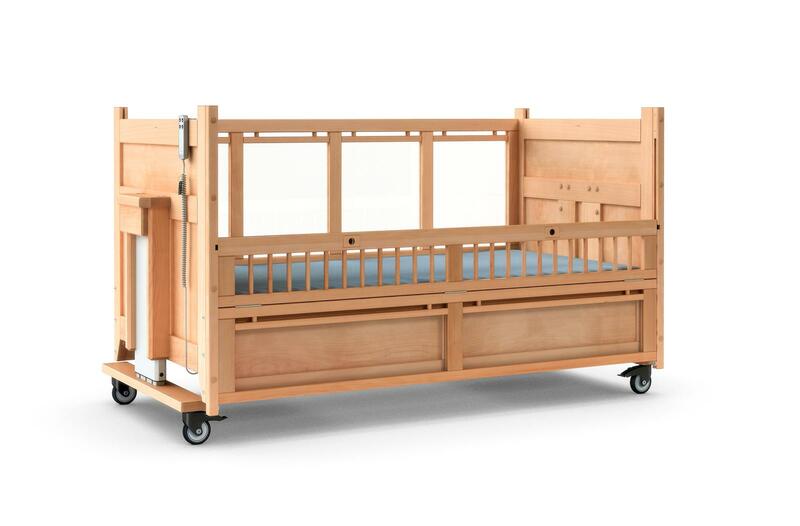 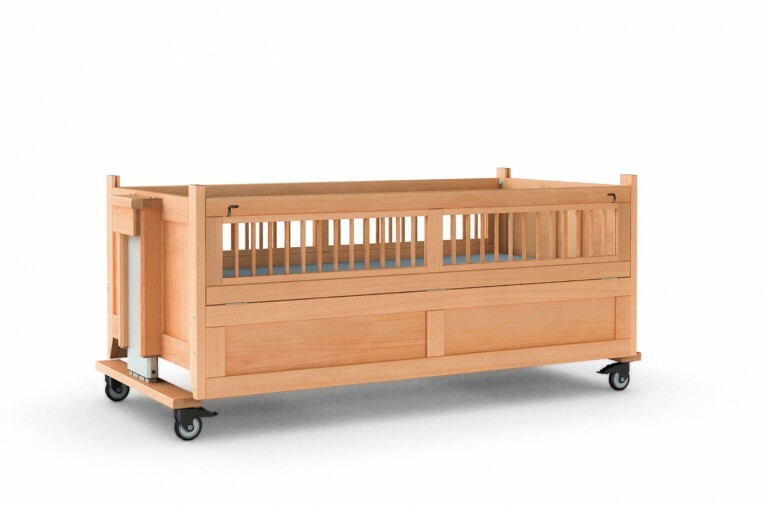 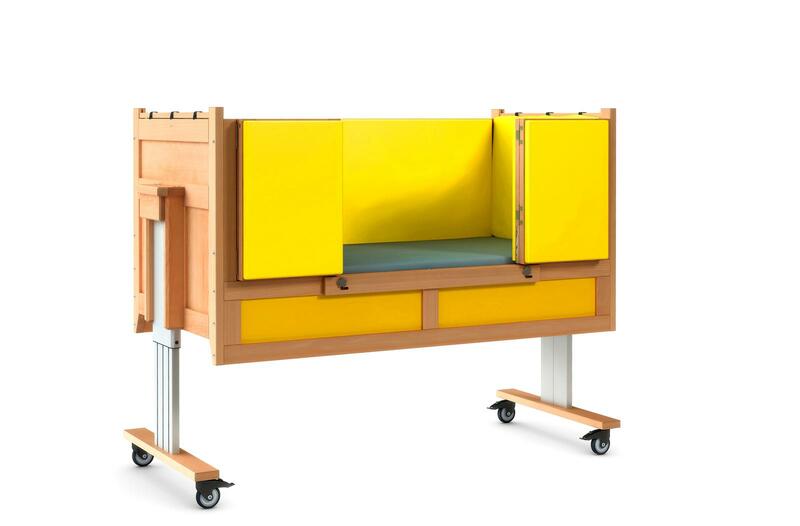 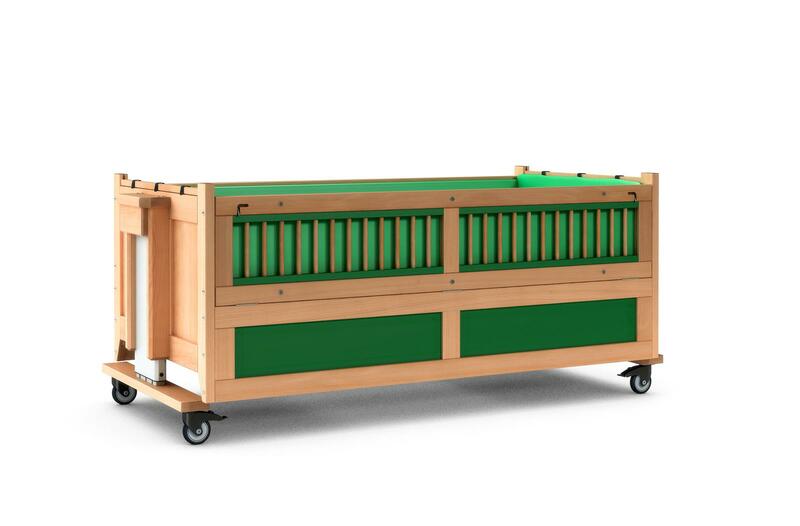 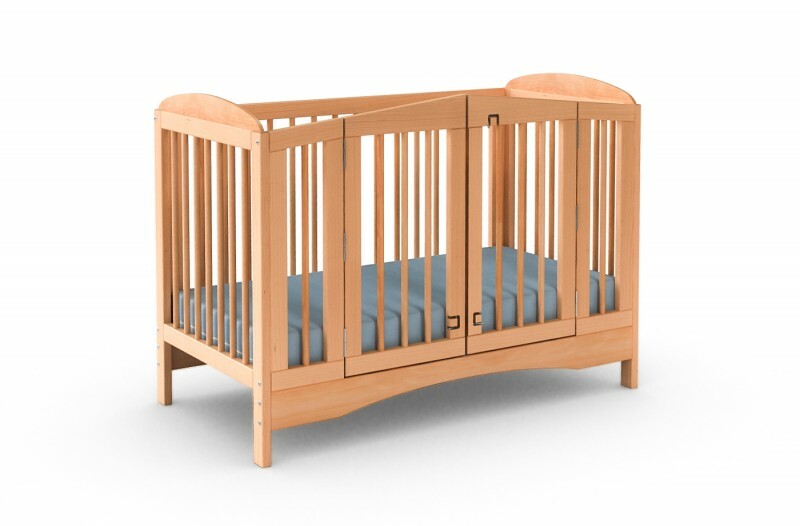 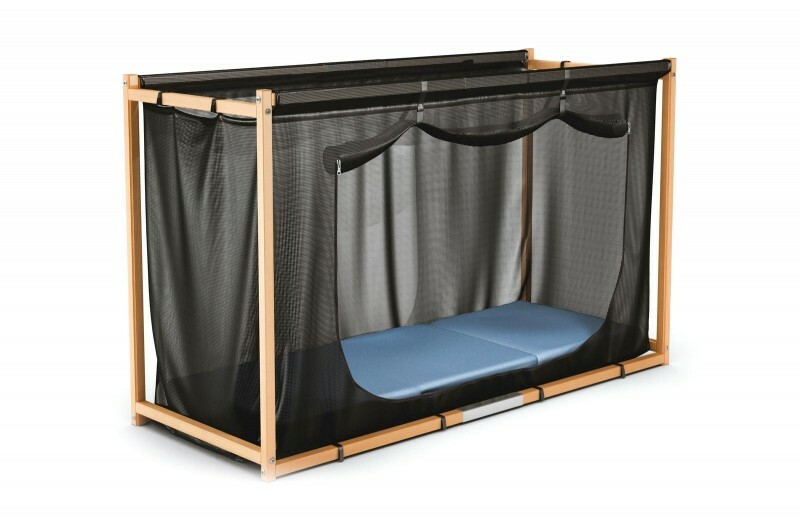 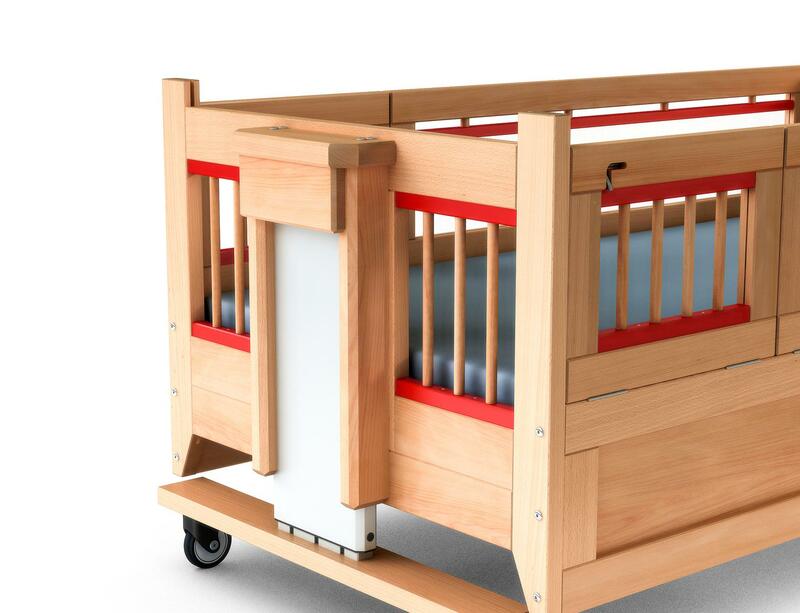 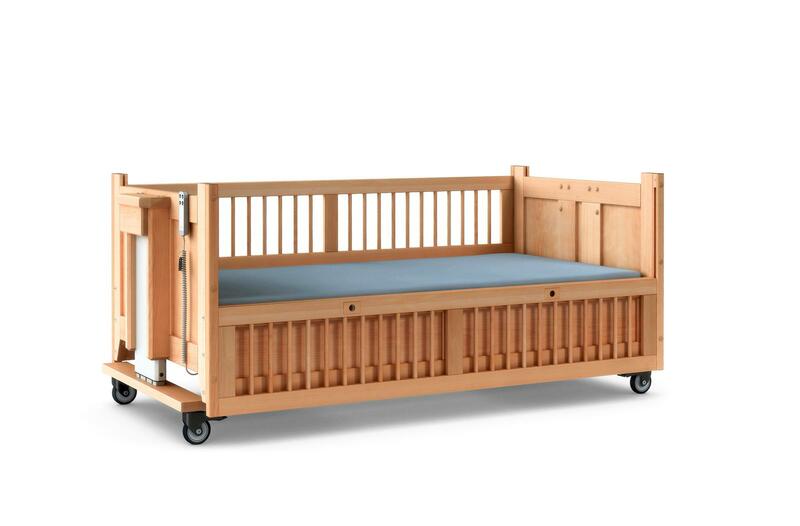 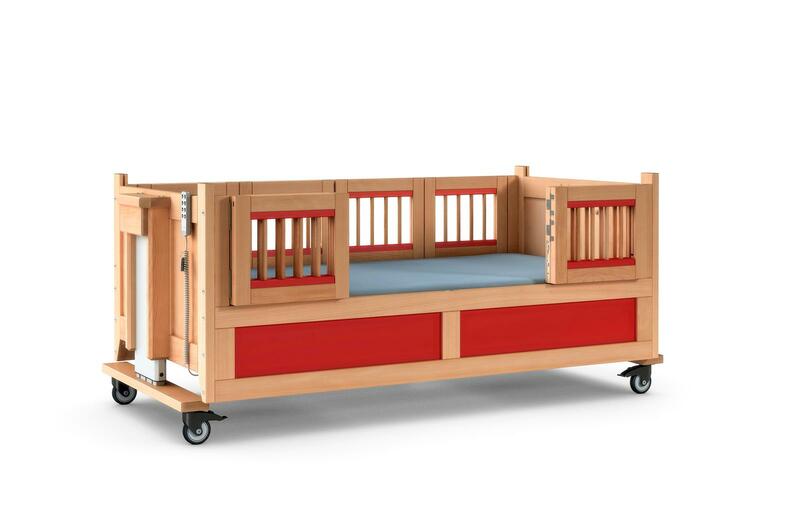 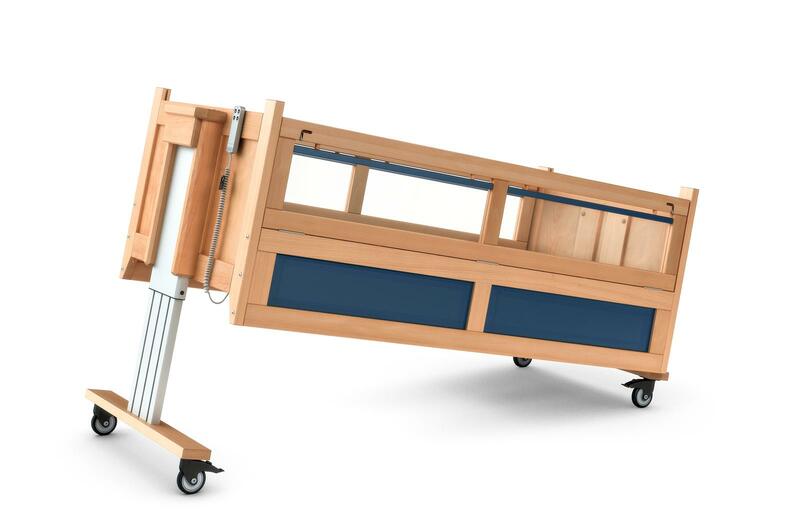 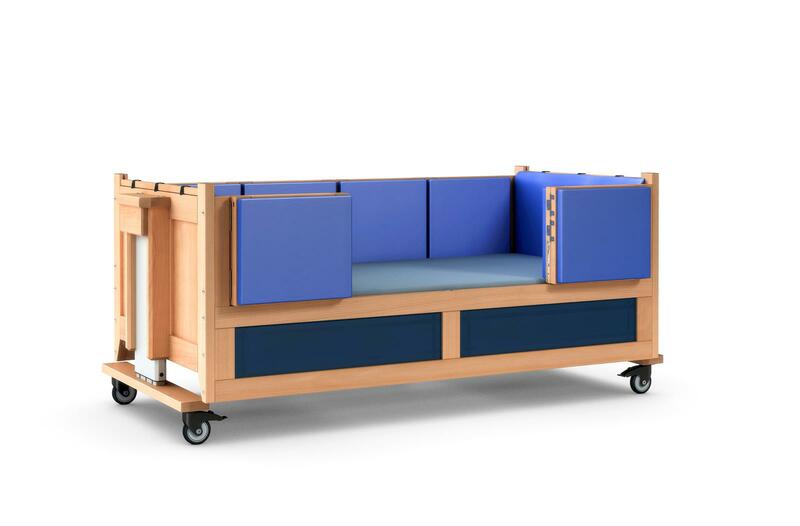 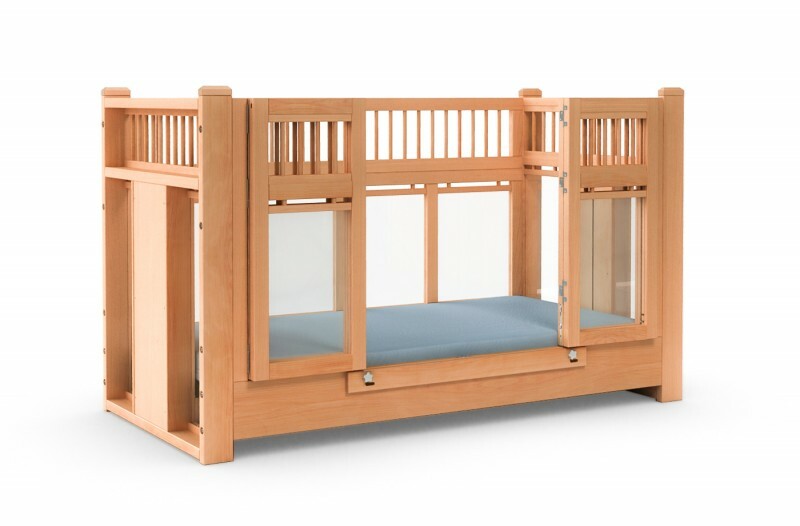 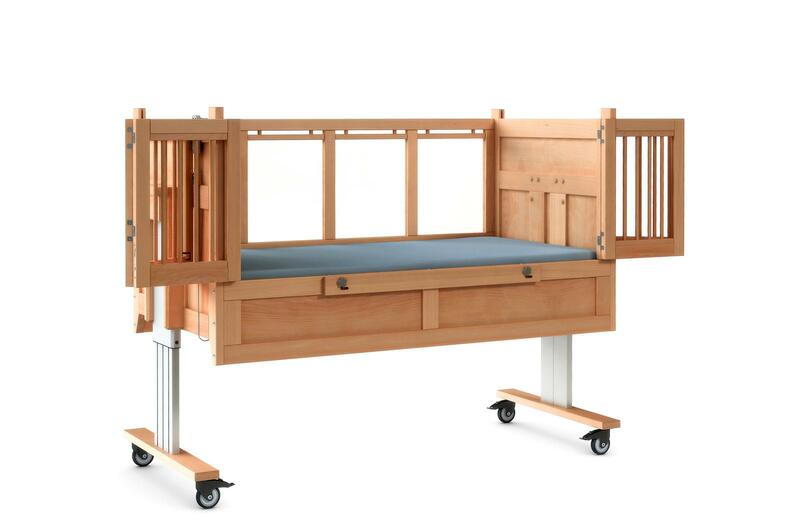 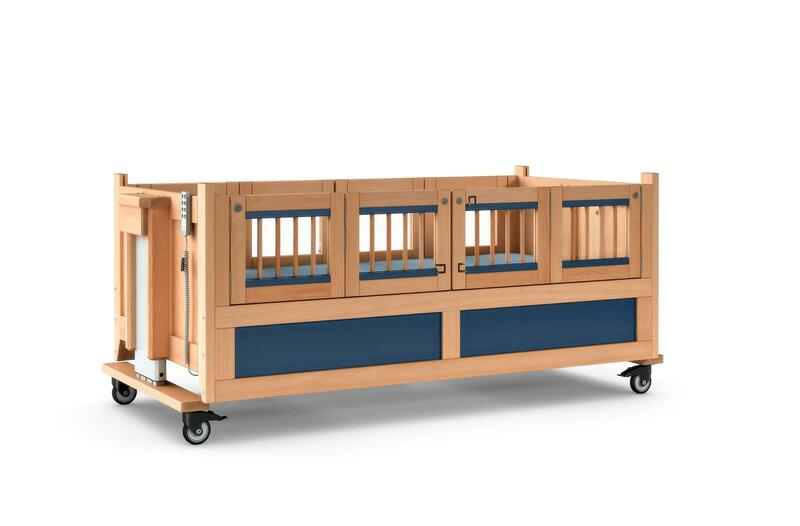 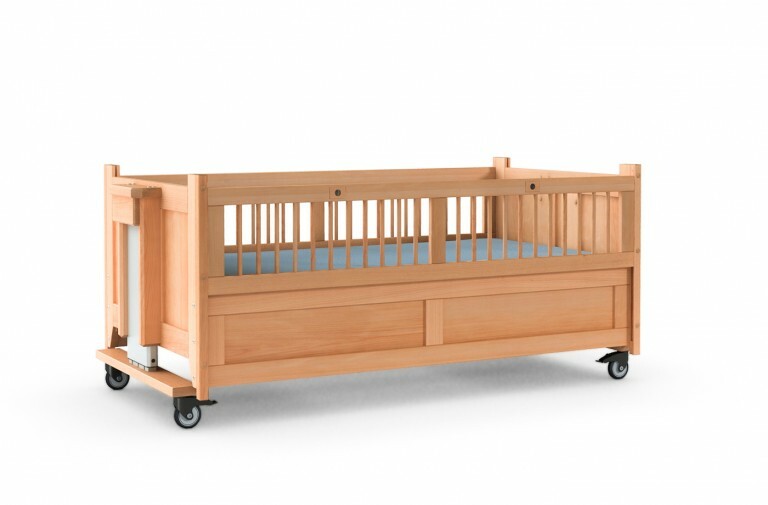 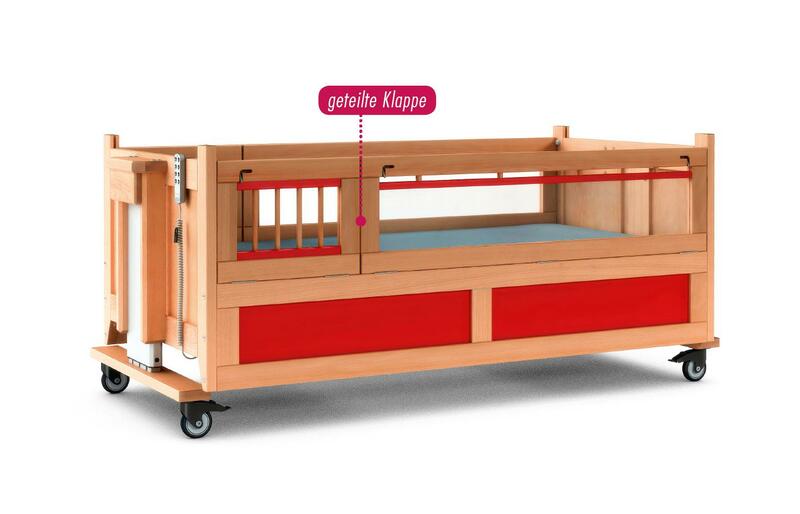 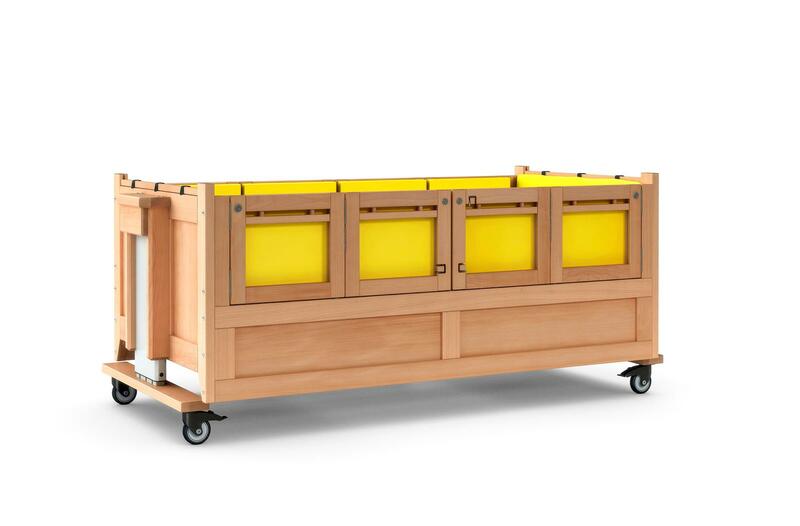 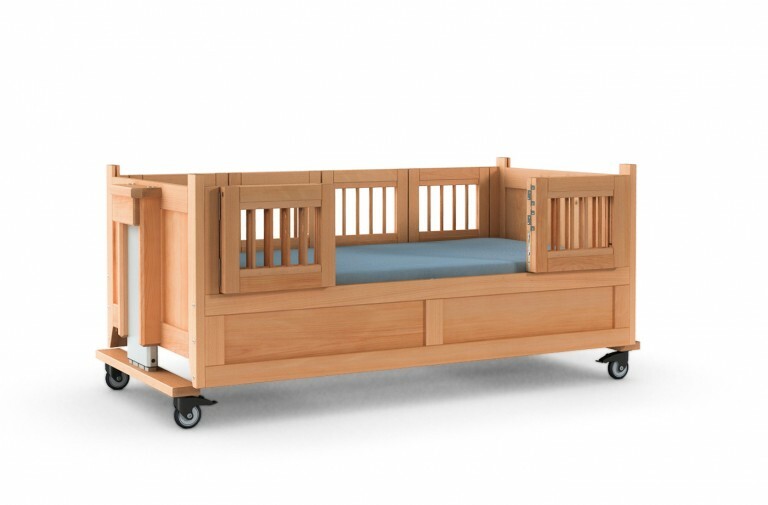 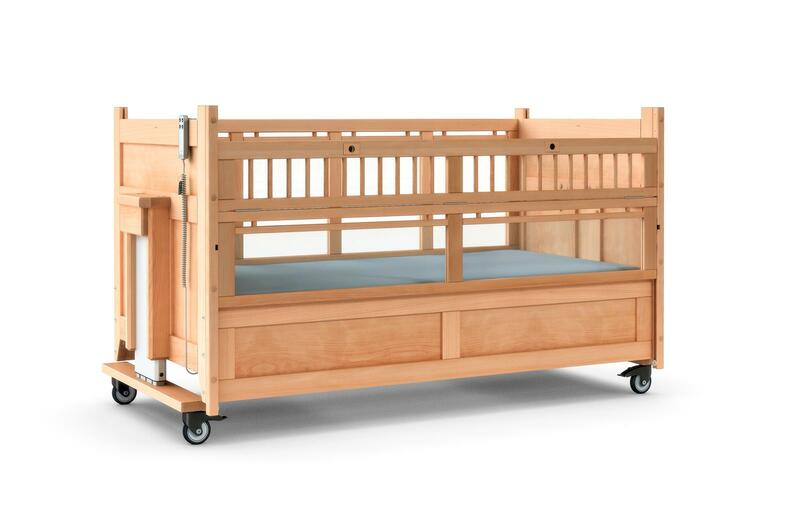 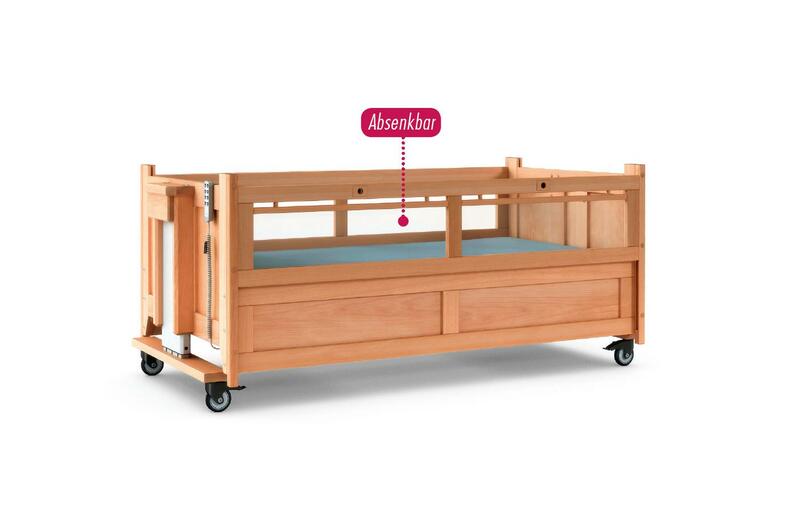 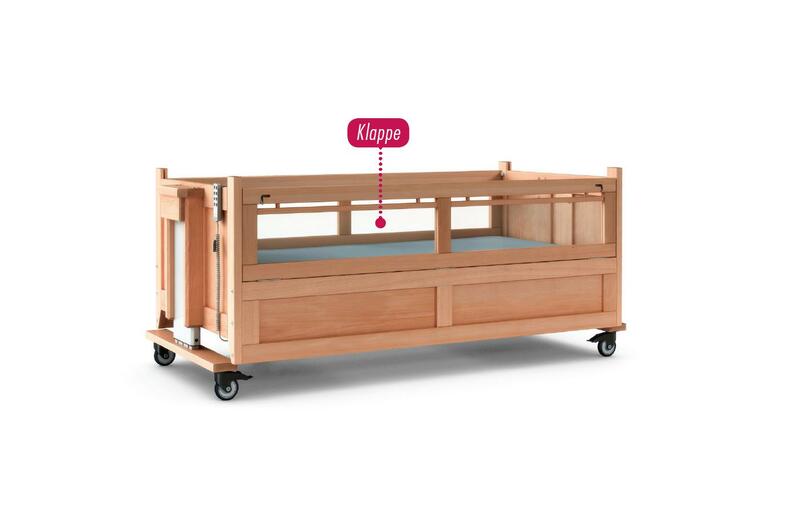 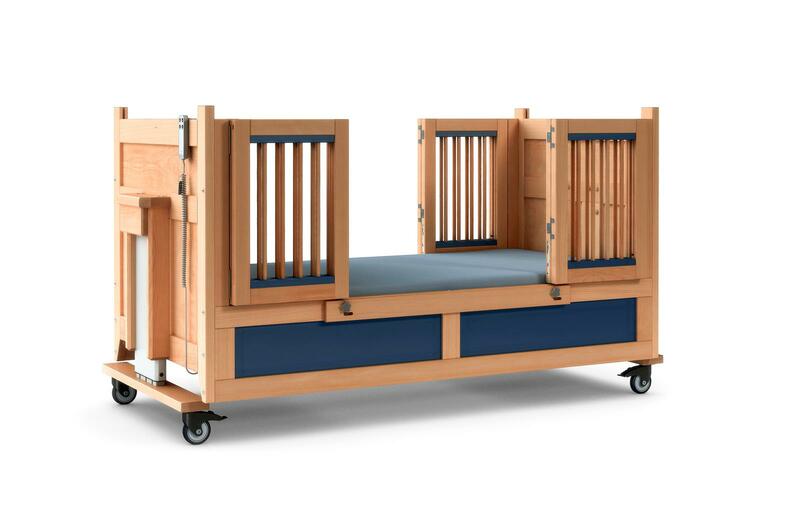 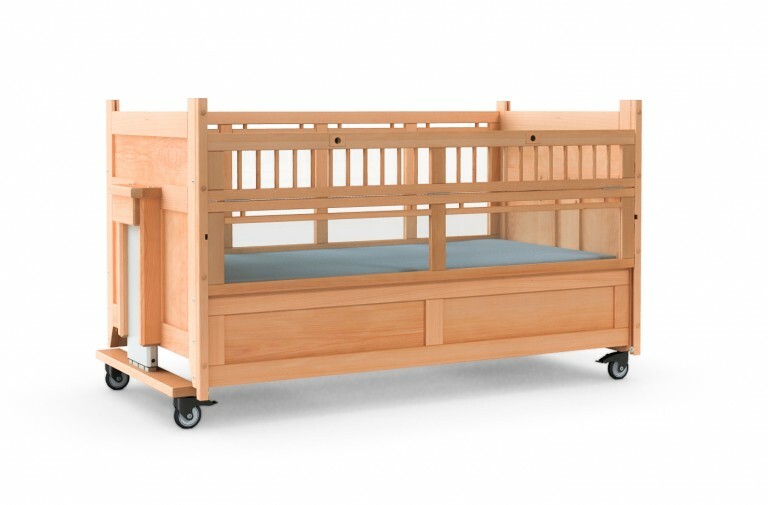 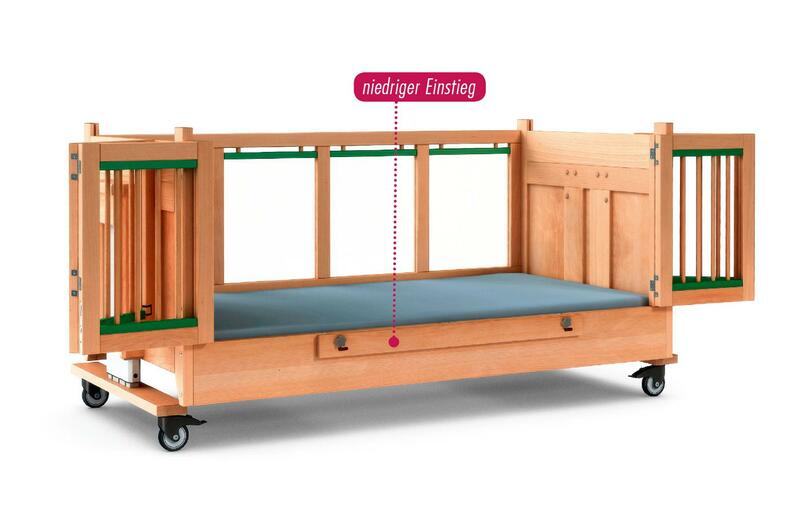 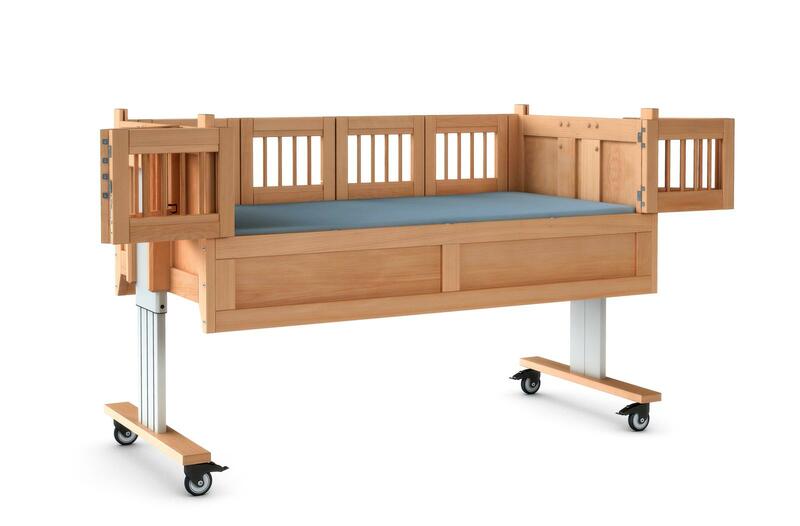 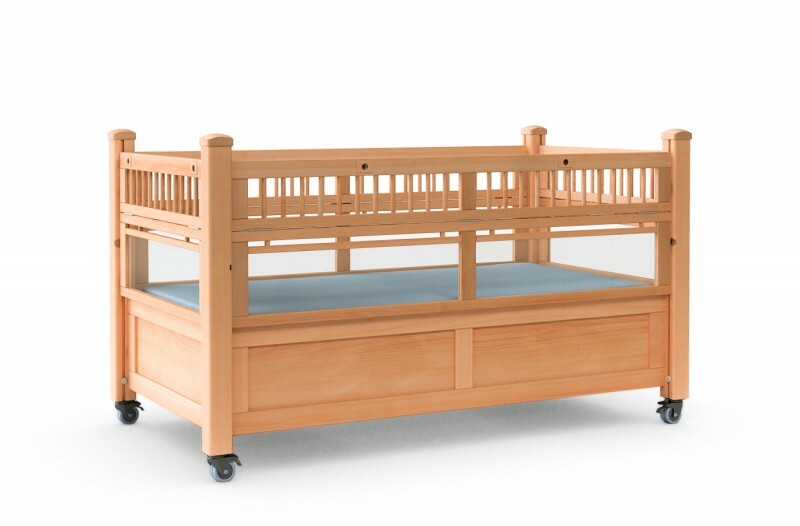 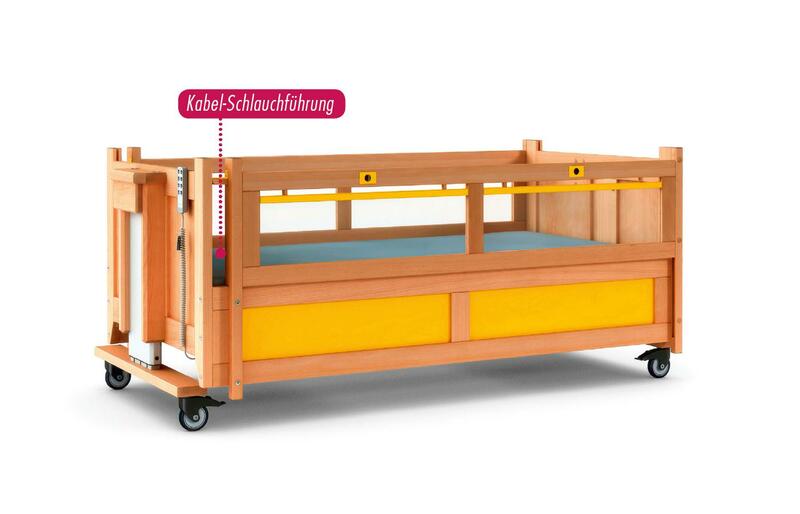 This model offers the optimal solution for direct access to the child. 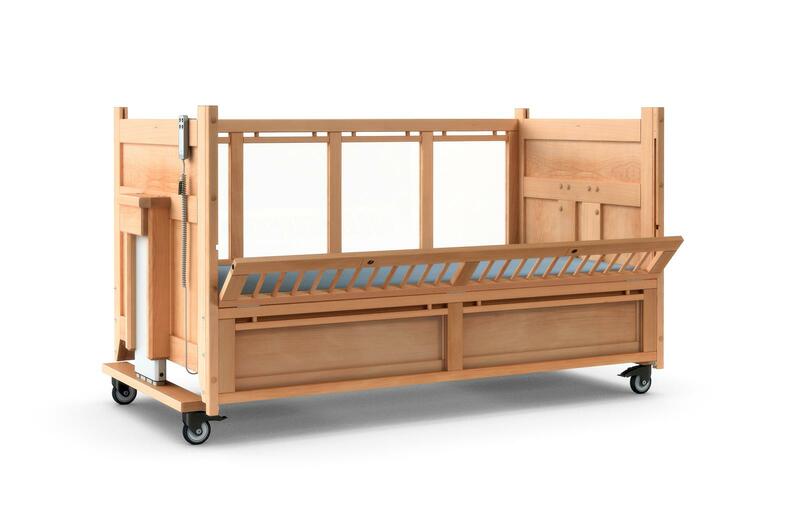 Depending on requirements, the two split doors can be completely or only partially opened. 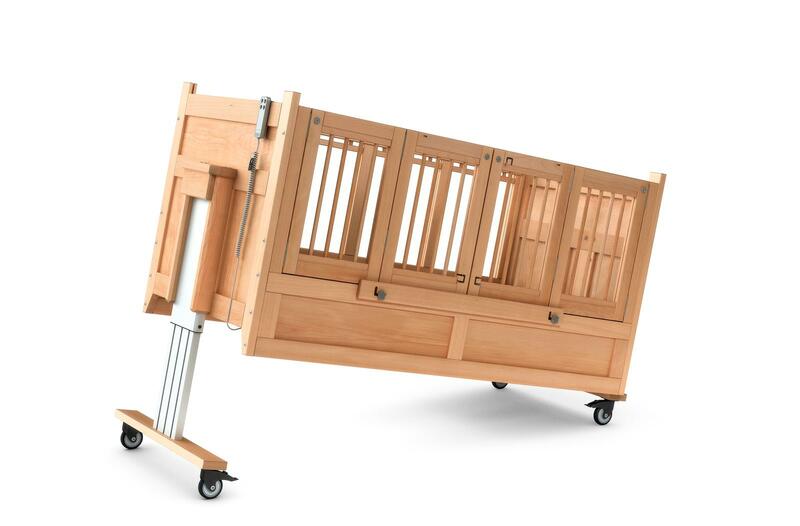 The hinged doors are easy to use, can be opened quickly and fixed in a half-open position. 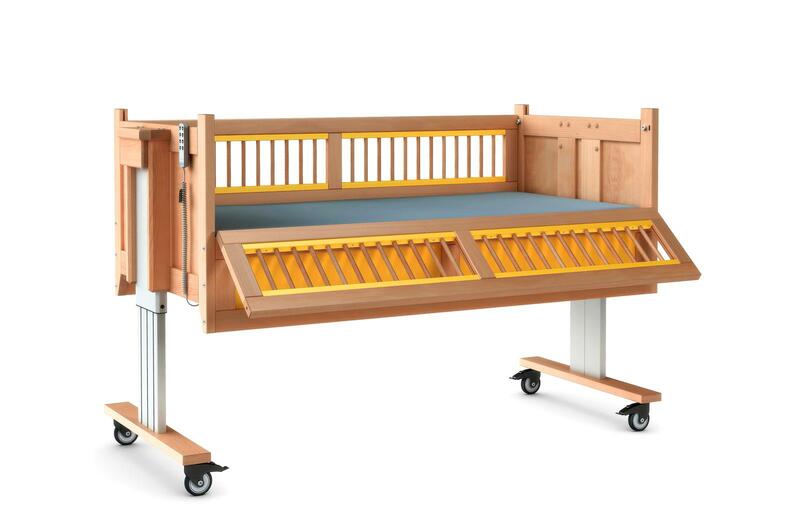 JEREMIA 1 with lowerable side parts allows protection of the young patient in various stages. 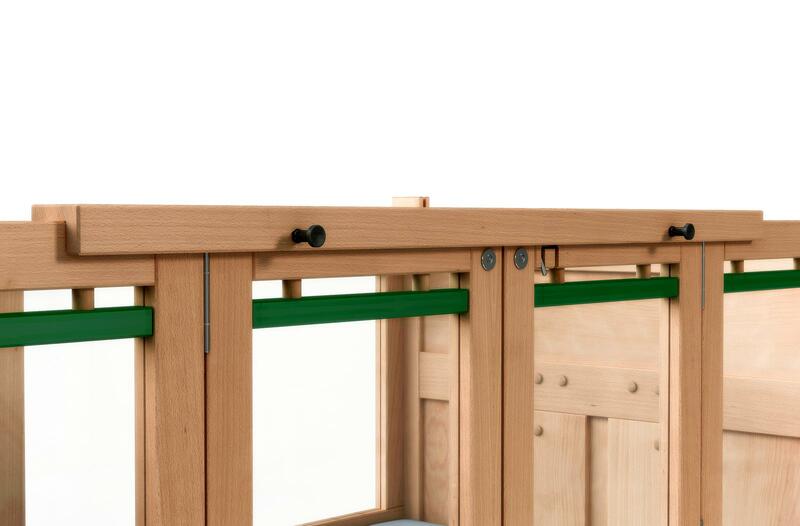 As long as the button is pressed in the grip, the side parts gently slide down in a guide slot. 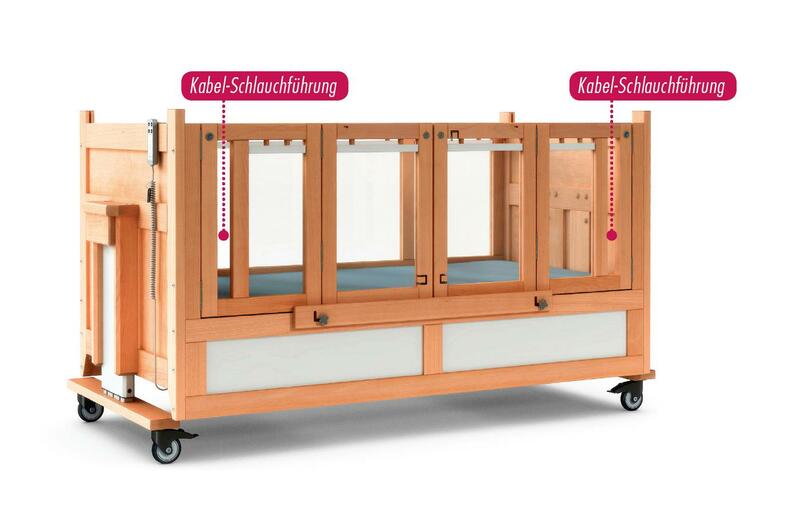 With its high and split doors, its solid construction and the additional safety options JEREMIA 68 provides a maximum of security. 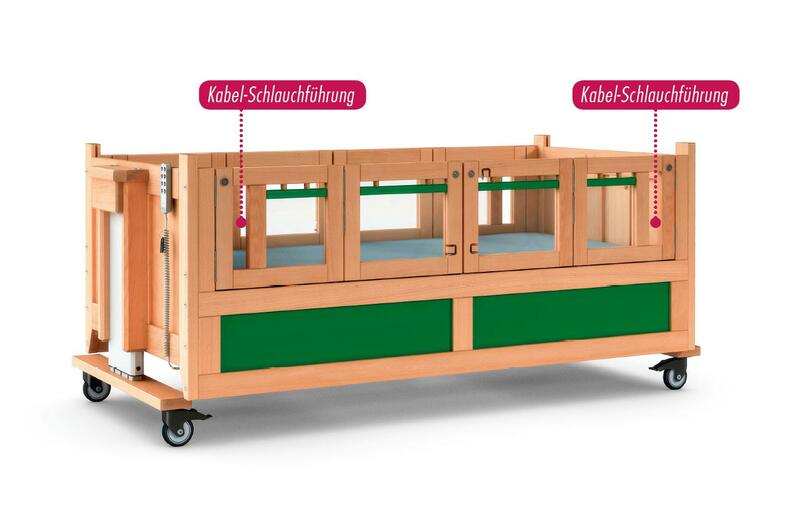 Again, there is the choice between different versions with bars, Spectar®, or bars with Spectar® and numerous colour variations. 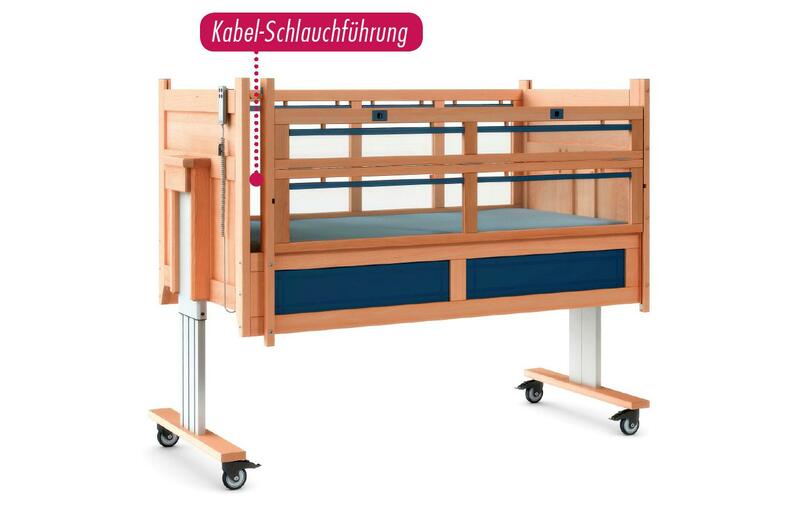 Due to the special lowering-folding technology, JEREMIA VARIO provides a convenient entry height of 50 cm, despite high side parts. 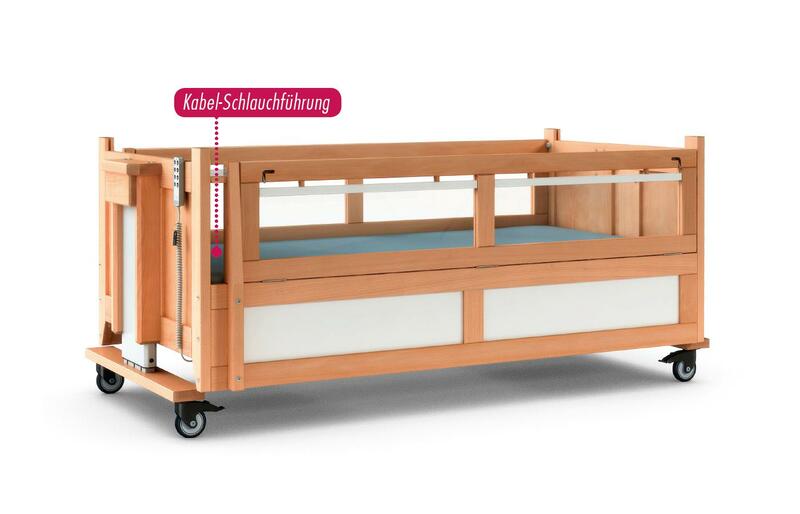 Thus, this healthcare bed combines comfort and safety. 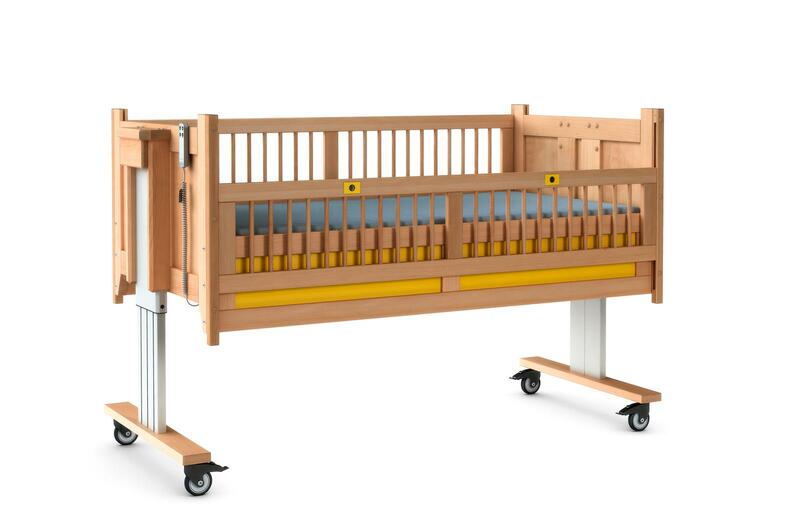 Depending on requirements, there is also the choice between the versions bars, or bars with Spectar® Spectar® and numerous color variations.